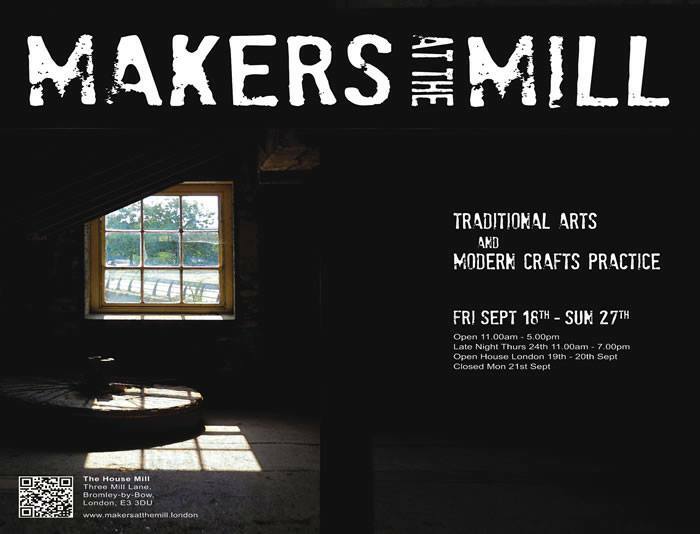 Makers at The Mill returned for their 4th exhibition to the beautiful gallery space at House Mill. The exhibition runs for 2 weeks from Friday 18 September to Sunday 27 September and is open from 11am to 5pm. It showcases the talents of a group of London based artists and designer-makers. This year’s collections feature ceramics, jewellery, metal-engraving, print-making, painting, photography, textiles and wire sculpture and everything is for sale. It’s a great chance to see art and heritage in seamless harmony.